Professional Scrum Developer (PSD) is an immersive 3-day course where students make up an entire Scrum Team that concurrently does requirements engineering, design, development, testing, integration and deployment within a single iteration. Agile engineering practices and supportive ALM tools are explored as ways to improve a team’s capabilities. Students will work in self-organizing teams to turn requirements into high quality potentially shippable software using the Scrum framework and modern engineering practices. Over the 3 days, students gain a real-world view of what it is like to build software with Scrum. Throughout the course, students collaborate as a team in a series of Sprints where they apply modern engineering practices and use the Scrum framework to cope with changes. There is a key focus on having students learn how to develop increments of potentially releasable functionality from a realistic Product Backlog. The Professional Scrum Developer course is intended for all members of a Scrum Development Team; architects, programmers, database developers, testers, and others with some technical knowledge. The class focuses on using technology to deliver software in Increments. Upon course completion, attendees have the opportunity to take an online assessment of their skills and earn their Professional Scrum Developer (PSD) certification. In class, you will learn the importance of inspection, adaptation, and fast feedback cycles. To reinforce those concepts, if you attend this Scrum.org class and attempt the PSD certification assessment within 14 days but do not achieve a score of at least 85% you will be given a 2nd attempt at no cost. If you attend this Scrum.org class and attempt the PSD certification assessment within 14 days but do not achieve a score of at least 85% you will be given a 2nd attempt at no cost. Scrum.org maintains a defined curriculum for the Professional Scrum courses and selects only the most qualified instructors to deliver them. 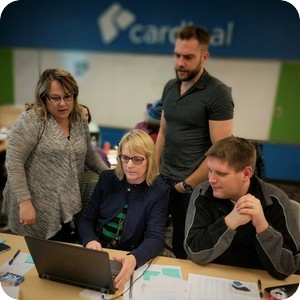 Each Professional Scrum Trainer is a practitioner and brings their experiences and areas of expertise to bear, but all students learn the same core course content. This consistency and quality helps students effectively apply Scrum in their organizations. Additionally, Insight Digital Innovation is officially recognized as a member of the Scrum.org Professional Training Network. This means we align with the Scrum Values, have Scrum.org trainers who teach a qualifying number of Scrum.org Professional Scrum classes, and are committed to improving the profession of software delivery in part by providing Scrum.org training. Private classes, on-site classes, and group discounts are available! 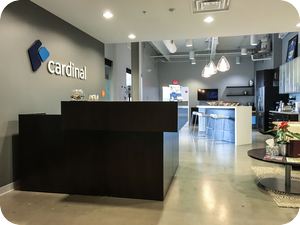 Insight Digital Innovation, formerly Cardinal Solutions, is a global technology company committed to helping clients innovate smarter so they can create digital experiences that drive differentiation and loyalty. Our Agile transformation services team can help you adopt an Agile framework to improve how your organization delivers, develops, and approaches products and services.